Three times each year, book collectors gather to attend major antiquarian book fairs in California (February), New York City (March), and Boston (November). 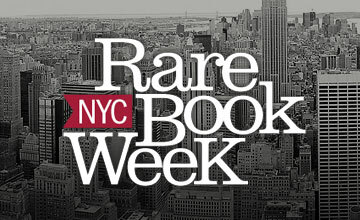 To facilitate and encourage participation, Fine Books pulls together information about the book fairs, auctions, events, exhibits, and more available to those who would like to join in the fun during each Rare Book Week. 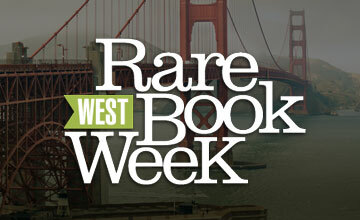 Three times each year, book collectors gather to attend major antiquarian book fairs in California (February), New York City (April), and Boston (November). 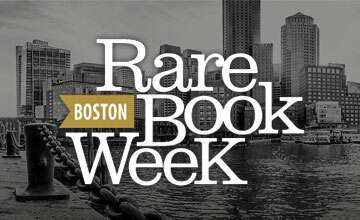 To facilitate and encourage participation, Fine Books pulls together information about the book fairs, auctions, events, exhibits, and more available to those who would like to join in the fun during each Rare Book Week.